In many cultures, the Tree of Life represents the natural law of life and the interconnection of all living things. Its branches weave through time and grow with strength and wisdom of the ages. 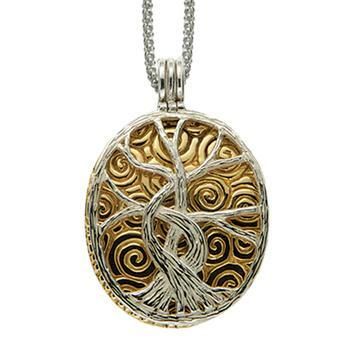 This unique sterling silver and 22k gilded Tree of Life is a 4 way reversible pendant.